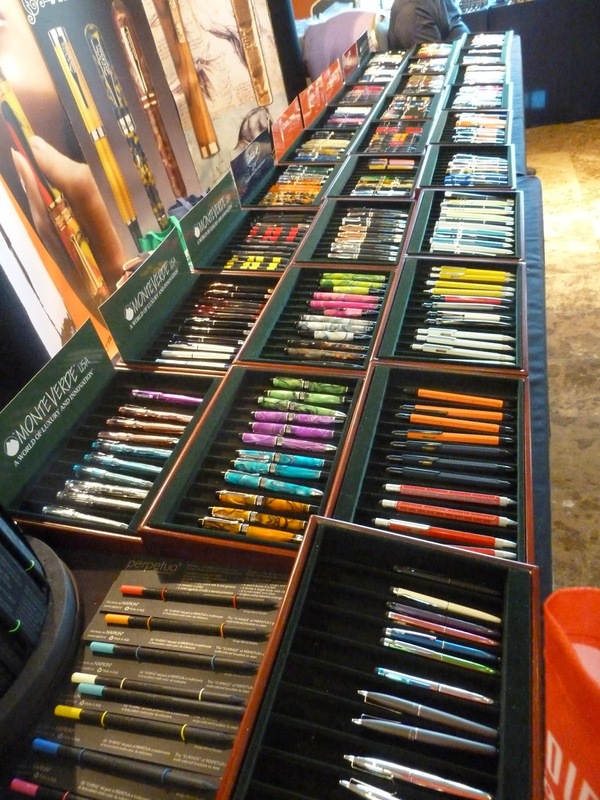 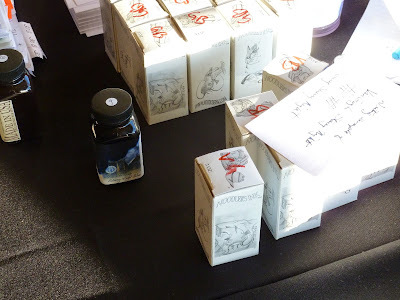 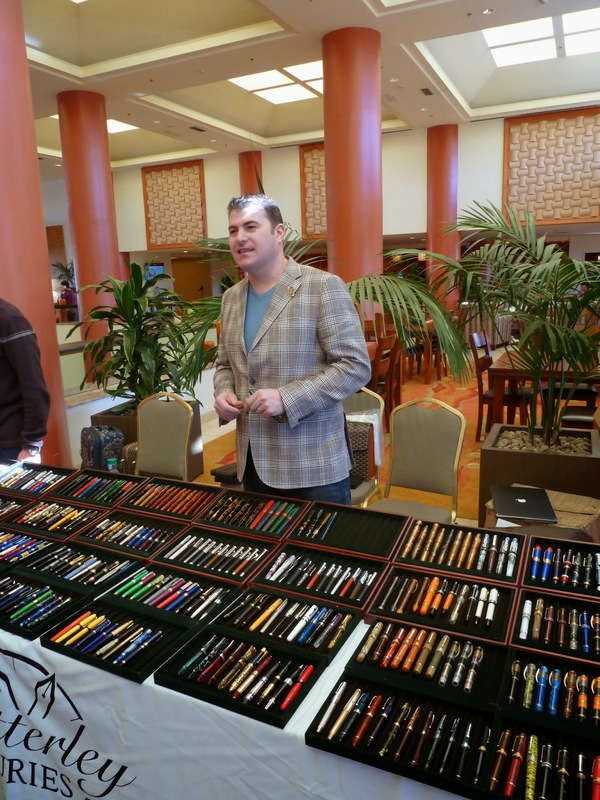 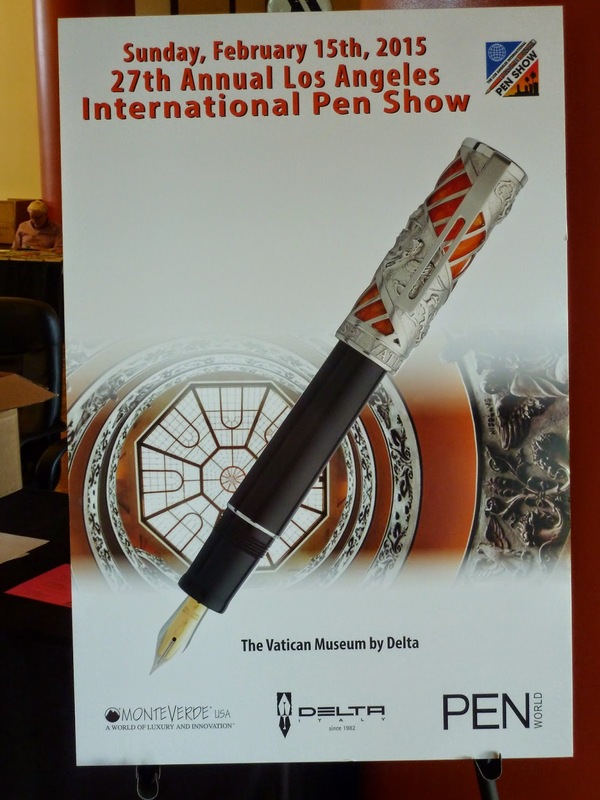 I've always maintained that at least half the fun of attending a pen show is the people, and this year's amazing show in L.A. only reinforced my belief. 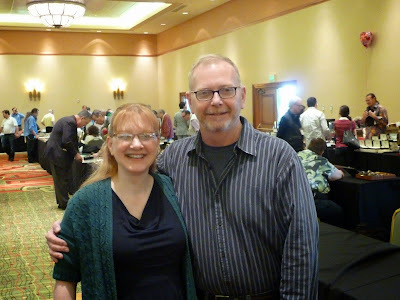 Part two of this report is about some folks I've never had the pleasure of meeting until last month's show. 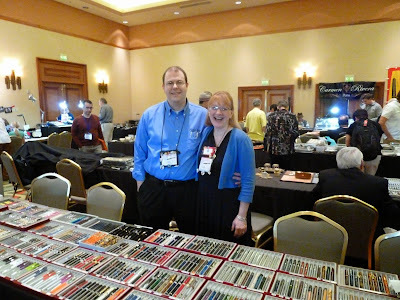 For example, I've been buying pens from Lisa & Brian Anderson of Anderson Pens for years, but never had a chance to meet them in person until I went to L.A. 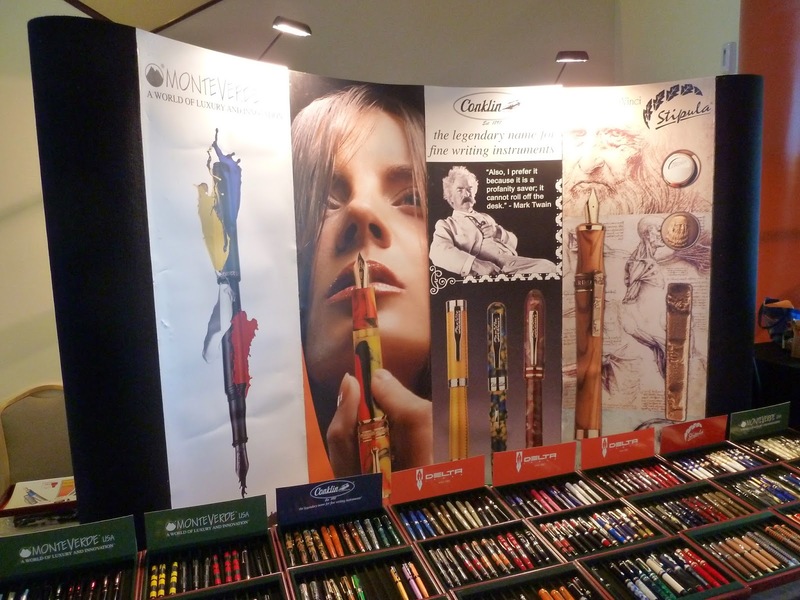 They are among the nicest people you'll ever meet...and know their stuff when it comes to writing instruments, both vintage and modern. 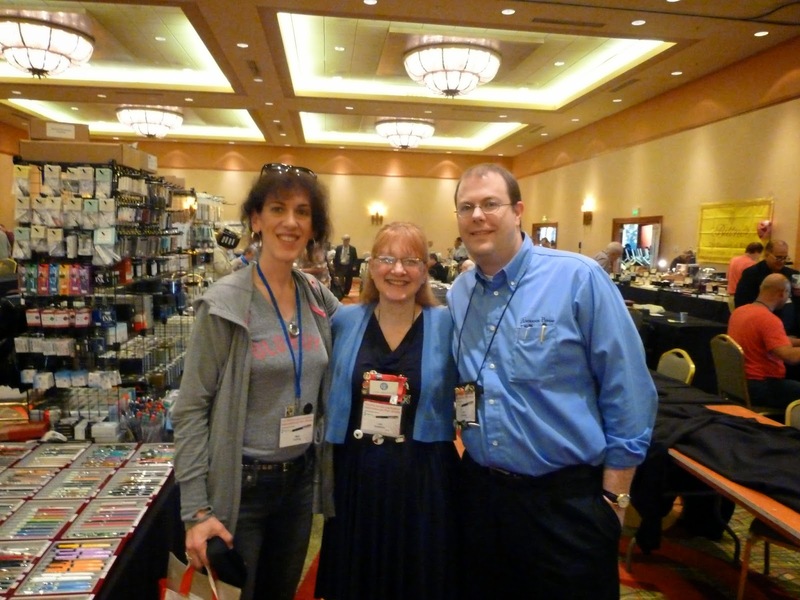 It was a pleasure talking to them and seeing their professionalism in action when dealing with customers. Brian & Lisa --- many thanks for the TWSBI pen & cool Retro 51 pencil! 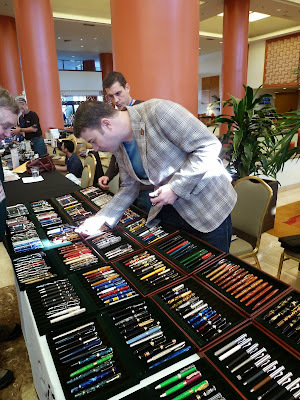 Another pen person I had the pleasure of meeting for the first time was Dan Smith, from FPGeeks . 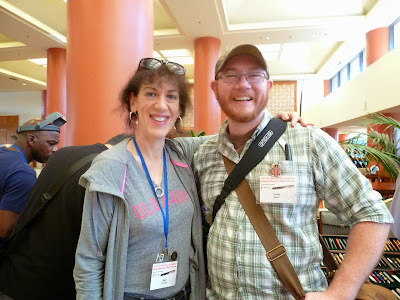 Dan & I have traded emails and letters, but I've never talked to him face-to-face until we met up at the show. Dan is a great guy and is just as funny and personable as he is on those "FPGeeks TV" podcasts you might have watched. 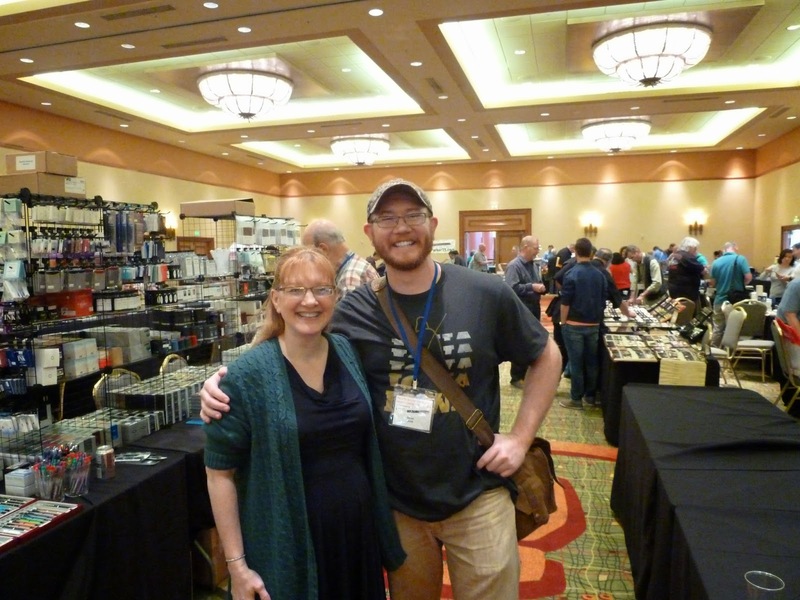 It was nice to finally meet Bryant Greer of Chatterley Luxuries . 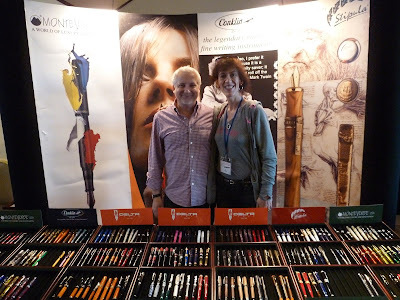 I'd been buying lovely Italian pens from Bryant for many years, so it was great to chat with him and see what pens he brought with him to the L.A. show. 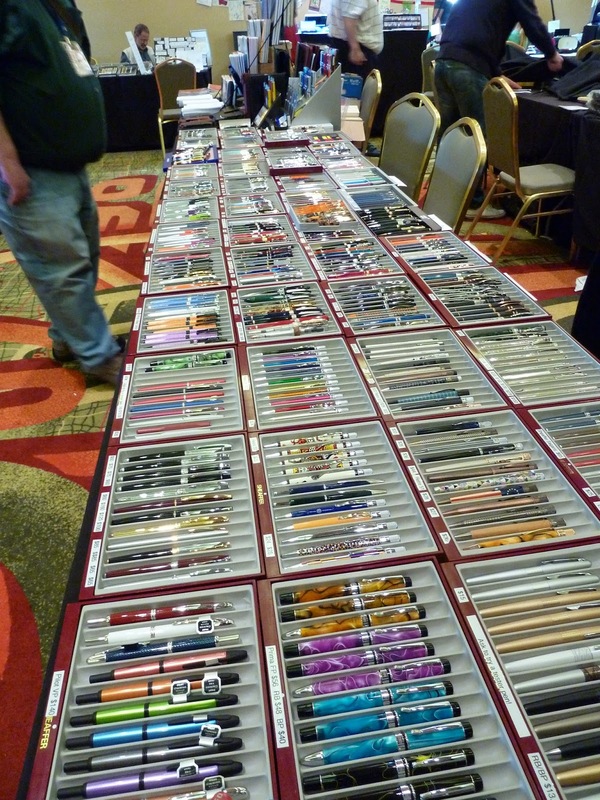 As you can see, he brought a lot! 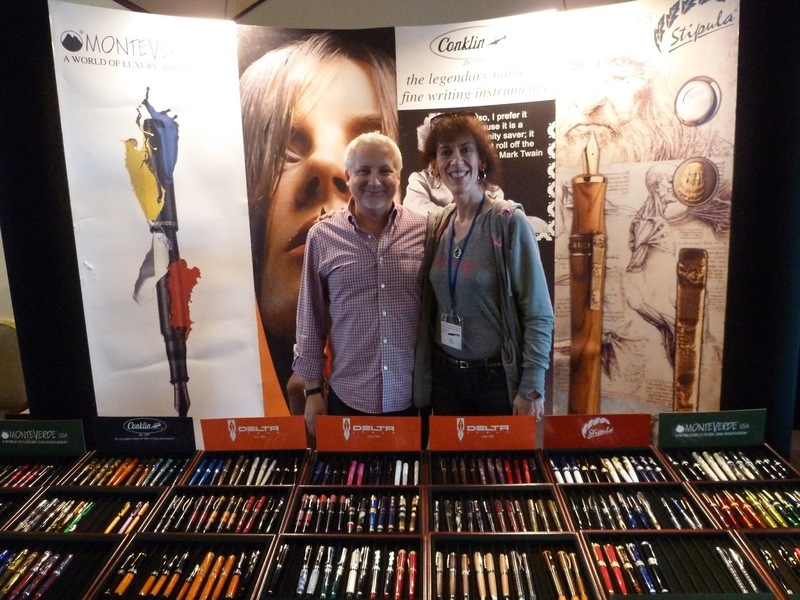 That's me with Ross Cameron of YAFA .Ross helped our pen club import the gorgeous Delta Delta Dolcevita Caruso Vancouver Pen Club limited edition pens from Italy late last year, so it was nice to thank him in person! I forgot to photograph the one-and-only Susan Wirth, she of the famous pen show calendar , but I had fun chatting with her on the first day of the L.A. show. 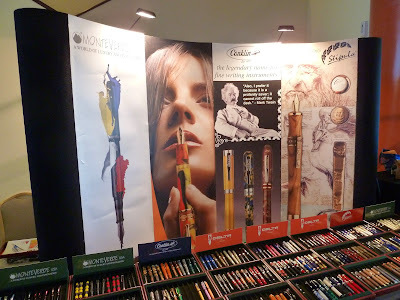 To be honest, I was a bit overwhelmed by the size of the show and didn't photograph much until day three! Here's Susan's display from this year's L.A. show. 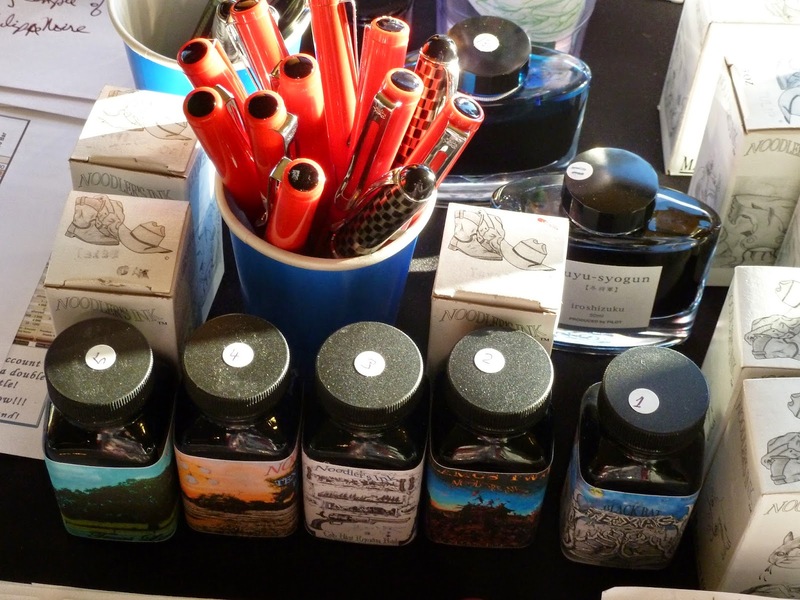 It's is very "user-friendly" and consists of tables & chairs and inked pens ready for potential buyers to try---a great idea! 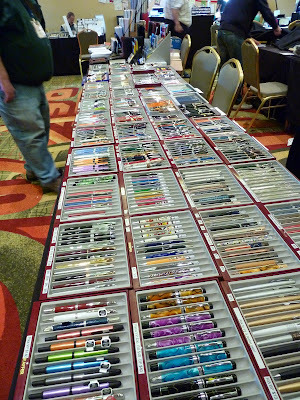 I feel really badly for not photographing the awesome new friends from FPN (the Fountain Pen Network) I met on Saturday (day three)--- Amberlea ("amberleadavis" on FPN) and Frank ("Frank C") from Vegas, Steve ("stevesurf") from Arizona and Pierre ("PrestoTenebroso") from Chicago. Amberlea was kind enough to invite me to join them for dinner at a great sushi place in Manhattan Beach on Valentine's Day. Thanks for making my day, guys, and thank you very much for the meal, Steve ;) Incidentally, Pierre is the man behind the amazing creations at Desiderata Pens. I had the pleasure of trying one of his amazing flexy-nibbed fountain pens at the dinner, and I was suitably impressed. 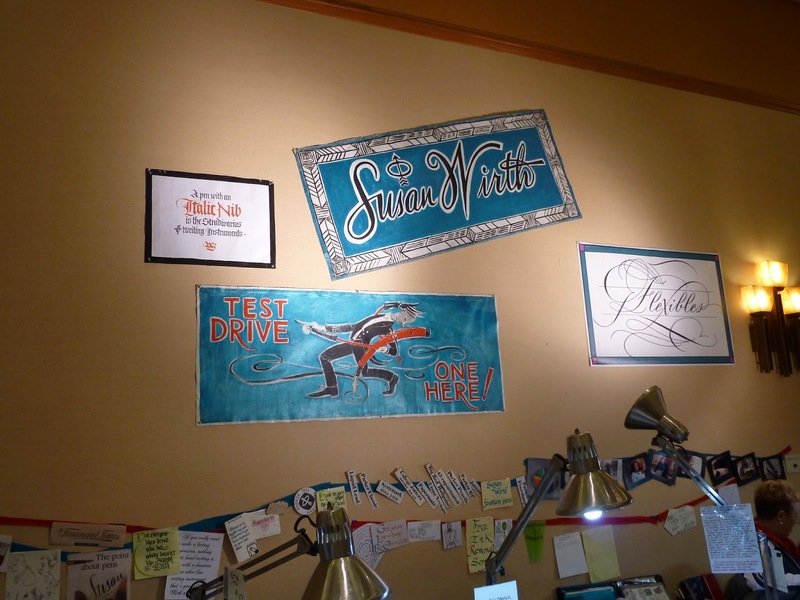 Well done, Pierre!